With today's big rally in the stock markets, the S&P500 is only 1.8% below its record closing high. For one buy, see "Good News for Intel Stock - End of Inventory Correction"
Here is a buy alert to my subscribers for Lam Research (LRCX) when it tested its August Lows a month later in September. Fast forward to today. Note how these charts below show buyers have shown up below the 200-day moving average, MA(200) when the price is just above the 50-day moving average, MA(50). Many consider it a very bullish "Golden Cross" when the MA(50) crosses above the slower moving MA(200). At the rate the market is moving higher, this could happen soon and I'll be taking more profits. 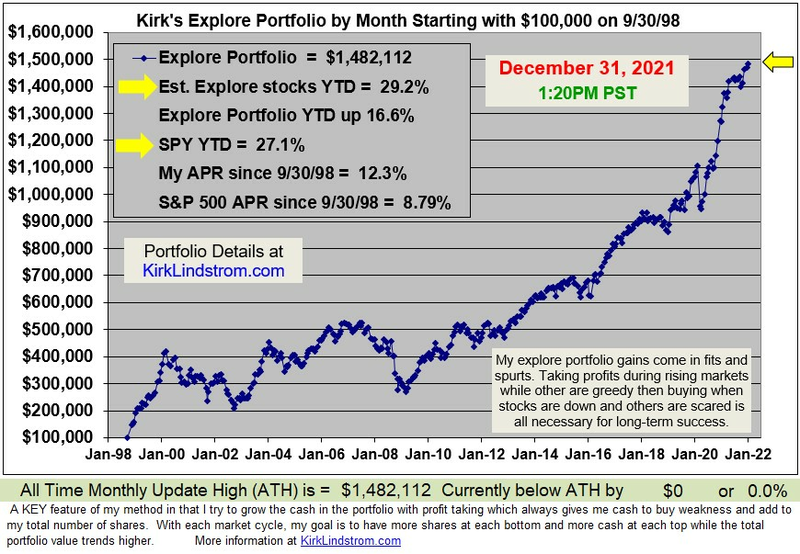 If we fall, I still have some stocks with "Automatic Buy Levels" listed in the December newsletter that I'd be very happy to buy more of on weakness that hits my targets.